The Group is committed to supporting female community champions across South Africa who run ECDs, and these schools – namely Heavenly Toddlers, Mother of Many, Khanyisa and Bollieland – were selected because the children of Shoprite and Checkers staff members in Worcester attend them. “Shoprite has a long history of celebrating ordinary women doing extraordinary things in their communities, however we recently refined our ECD programme to focus specifically on those preschools who care for our staff’s children,” explains Lunga Schoeman, Shoprite’s CSI spokesperson. 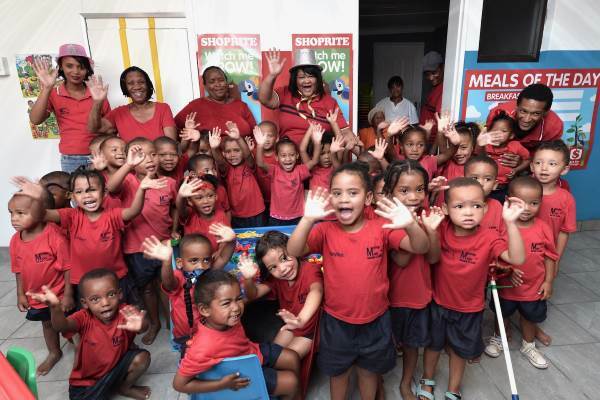 Today, with support from Shoprite, Charmaine’s heavenly toddlers are being cared for in a brand new building equipped with much-needed educational materials. The children are also guaranteed a nutritious daily meal from the Lunchbox Fund whilst Charmaine and her teaching assistants will receive some valuable training. Khanyisa Educare Centre, a creche in the Zweletemba township on the other side of Worcester, received a facelift when the building was painted inside and out, and a beautiful mural now adorns one of the walls. Each classroom was fitted with child-friendly toilets and a food garden – to supplement the school’s existing feeding programme – is in the pipeline. Shoprite’s implementation partner, the Centre for Early Childhood Development (CECD), has more than 30 years’ experience and is therefore well-versed in offering support to these schools. “Teacher as well as governance training is at the core of what we do. 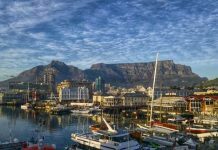 We also contract local builders to do the renovations, thus ploughing back into the communities we’re supporting,” says Rukea Shaik, CECD’s spokesperson.